Get industrial-inspired storefront lighting with the 12" Warehouse Shade Gooseneck Fixture. This all-aluminum commercial light includes a 12"W shade, an arched gooseneck arm and sturdy back plate for wall mount. Display above signage and awnings outside or inside behind a bar or retail counter. 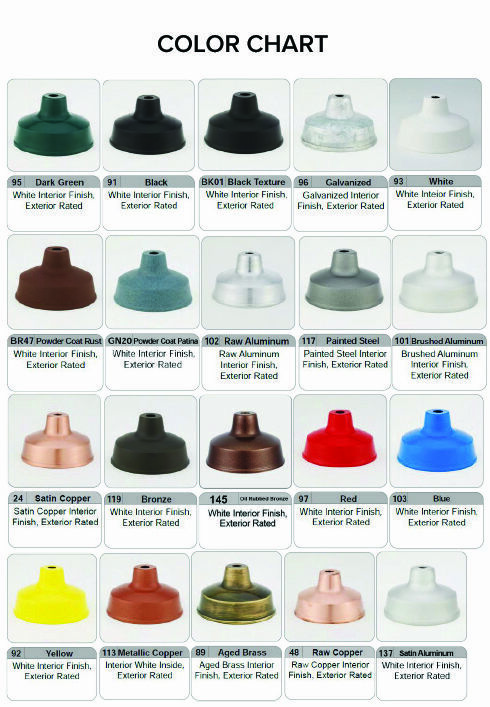 For easy customization, Warehouse Lights come in a choice of 25 rust resistant powder coated finishes; galvanized steel, dark green, black and white are available at no additional cost. Outdoor gooseneck lighting is sold standard with incandescent lamping. Please call toll free for HID (metal halide or high pressure sodium), compact fluorescent or LED commercial light options. Please note: required ballasting and pricing will vary for upgraded HID, CF and LED configurations. Warehouse Lights can also be ordered with swivel couplings for an adjustable projection; please call toll free for non-standard options and accessories.